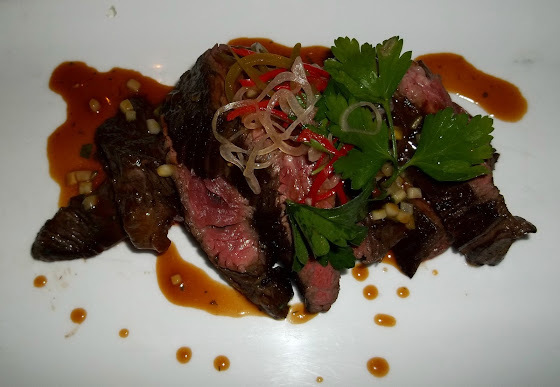 A couple of weekends ago, Adrian and I took one of our traditional one-day road trips to Cleveland to dine at the restaurants of our favorite Iron Chef – Michael Symon. We love the American Iron Chefs and we’ve tried the restaurants of almost all of them (I think that the only one left to try is Cat Cora’s), but Symon’s restaurants are the best in our humble opinion. Please feel free to disagree with me. So, on that Saturday, we didn’t sleep in as we do every Saturday, but we drove to Cleveland for a day of food therapy. This time, we also brought along our good friends Tom and Katelyn to introduce them to some mind-blowing food. Our first stop, just in time for lunch, was B Spot, Michael Symon’s burger joint, in Woodmere, OH, right outside Cleveland. You might ask “what’s so special about a burger place?”. 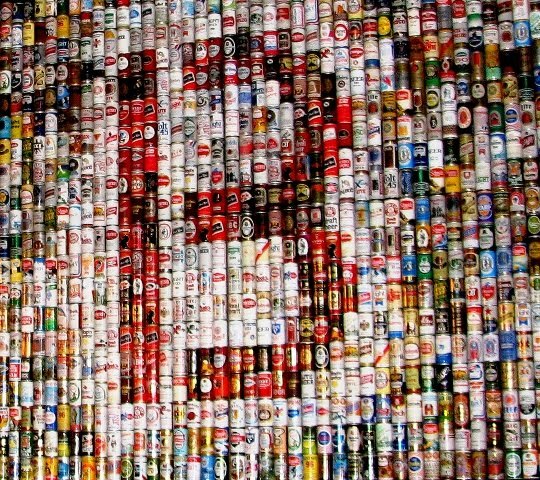 Well, try B Spot and your idea of burgers will change forever. Plus, it will definitely hit your…B spot. 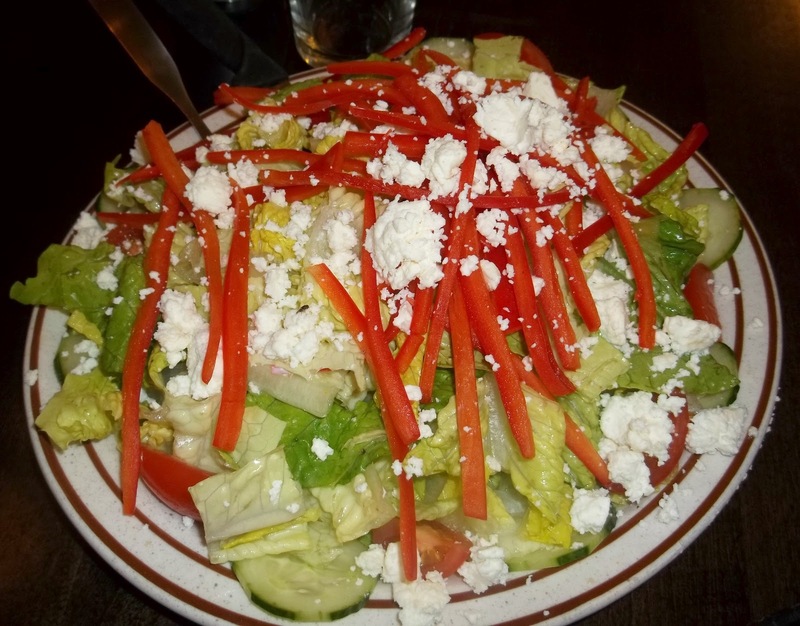 Let’s start with the Zorba Salad. On the menu it’s listed as a big salad. Well, let me tell you this – it is not big – it is humongous! The four of us could barely finish it. But we did. It was absolutely delicious – crispy, colorful, lemony and light. Everything you look for in a salad. Totally satisfying! FYI: If you are planning on having just this salad (or any of their salads for that matter) without ordering anything else, you are good to go. However, if you are planning on getting a burger and consider your salad as an appetizer, you might want to think again and share it with someone, or just go for one of the two, that is the salad or the meat. Having said that, I guess you could always take the leftovers to go. I had one of the two Lola burgers. Adrian had the other one. The meat, just as always, was cooked to perfection, the egg brought that ooey gooey goodness to this mouth-watering affair, and the bacon rounded everything up with its impeccable crispiness. But, let’s not forget the delicious pickled onions, which finalized this already perfect burger; of course, I had to have more of those and some pickles, too, from the pickle bar. When the server brought the burger to the table, I just couldn’t wait to dive my teeth into it. A definite home-run! Our friends savored every bite of the Breuben and the Philly Witt burgers. The burgers were moist and juicy nicely complemented by the tasty sauerkraut and Russian dressing, and the always unbeatable cheezewhiz and onions, respectively. I guess that Michael Symon just knows how to put an original spin on the traditional versions of the Reuben and Philly Cheesesteak, and how to turn a classic sandwich into a memorable burger. The Lola Fries were also to die for. Perfectly crispy with a unique flavoring of rosemary and sea salt! 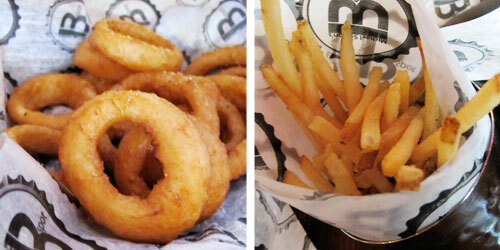 It was the first time that we had ordered the B-Spot Onion Rings and we were not disappointed. They were melting in your mouth – a definite must try. 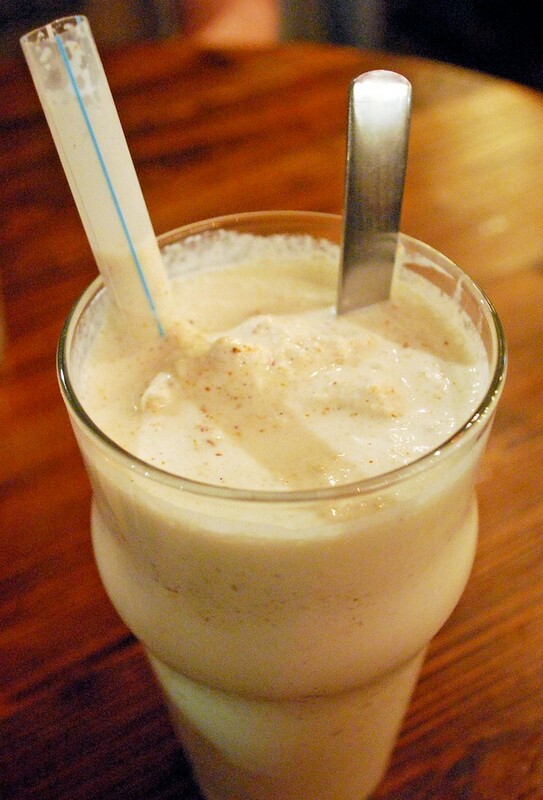 Last but not least, the Vanilla Bean Apple Pie Bacon Shakes. You may wonder – “bacon in a shake?” – oh, yeah, baby. And you won’t believe how well they all go together! 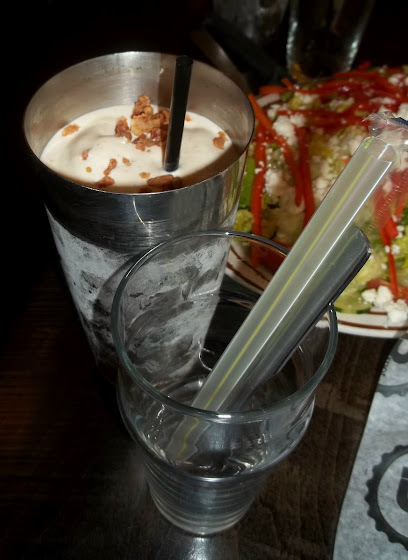 Those crispy bits of bacon elevate the shake to a different ball game. It’s certainly not your regular boring shake. And if you want something spectacular, add the bourbon. Our B Spot stop was a total success and a great start to our day of food therapy. Ok, I’ll admit, we did some shopping therapy, too, but only because we had to burn some calories. 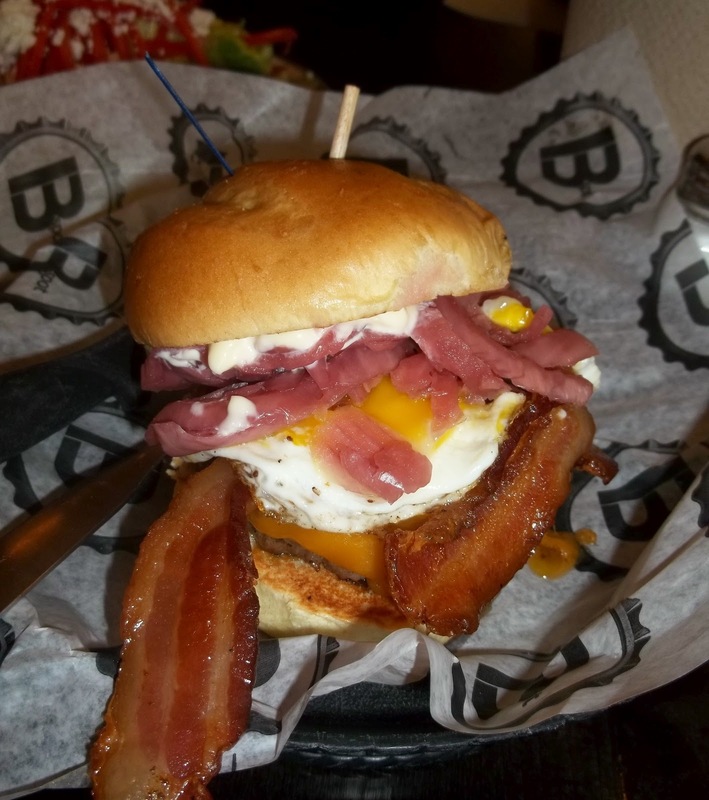 So, if you are ever in Cleveland, check out the Beachwood Mall in Beachwood, OH, which is only a five minute drive from B Spot. For dinner, we had a reservation at Lola, Michael Symon’s fancier restaurant in downtown Cleveland. Adrian and I knew that we wanted to go to Cleveland in September, so we made our reservation a month in advance. 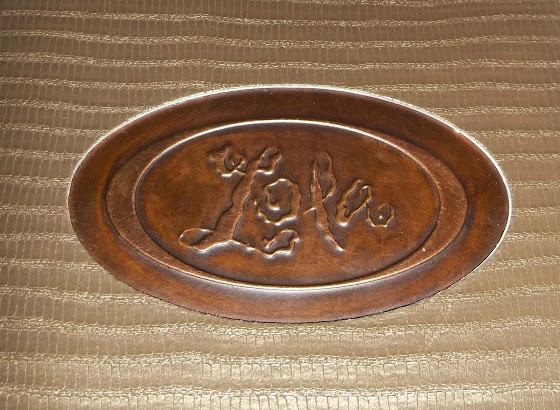 We usually make our reservation at Lola about a week in advance, that way we are guaranteed a dinner reservation at a reasonable hour, which is before 10:00 PM. This time we were four people, so our reservation was only at 9:15 PM. A bit late for dinner, you might say, but for us it was just in time to get hungry again, after the substantial lunch we had at B Spot. Not to mention we were in for a true carnival of flavor. 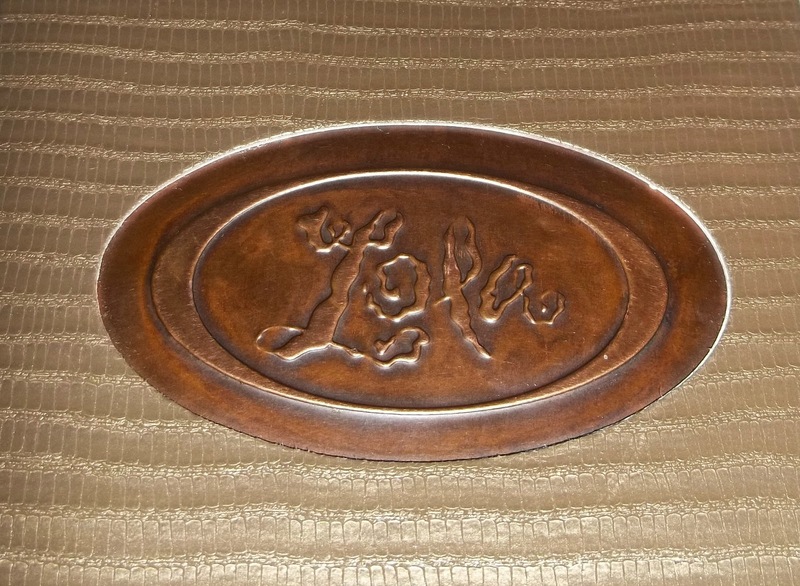 As a heads-up, the menu at Lola changes throughout the year, so some of the items might not be on the menu the next time you visit the restaurant. But don’t panic! There are a lot of spectacular options to choose from. We’ve been there several times and we’ve experienced different menus, but we were never disappointed. Some dishes come and go, some come back. Keep an open mind, hungry stomach, and you’ll have a lot of fun and unexpected, staggering food combinations. The Beef Tongue was delicious. Being from Romania, we eat a lot of beef tongue, so we are used to the texture and taste of this ingredient. But in this appetizer the flavor of the tongue is elevated by the blend of mushrooms, celery root, raisins and apple. All of these make it a very light dish. This is a great introduction to a unique dish, especially if you’ve never tried beef tongue. It will make you appreciate it and, who knows, maybe try it again in the future. The “Fois & Figs” was rich and creamy but not heavy thanks to the segments of orange, which balanced the entire dish, while the pumpkin seeds added a nice crunch and light toasty flavor. The Beef Cheek Pierogi was exquisite; a little piece of heaven on earth. These little delights of soft sweet dough and juicy pieces of beef just melt away in your mouth, and you are so happy. No wonder that this is one of the most popular appetizers at Lola. The Smoked Berkshire Pork Chop was spectacular. 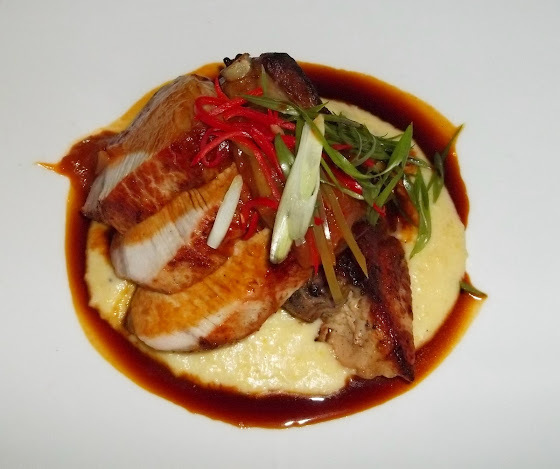 It was tender and succulent, layered on a bed of creamy and rich polenta, which melted in your mouth. 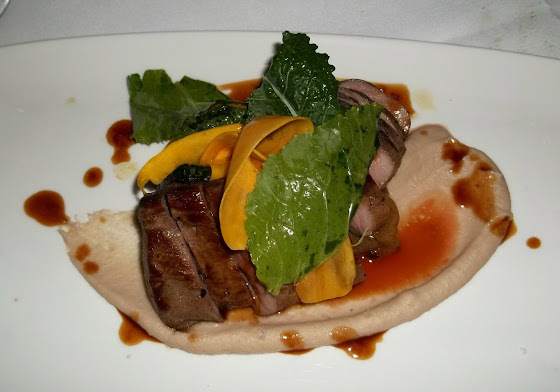 The first time I had this dish at Lola a year and a half ago, it was the best pork I had ever had. Guess what… it is still the best pork I’ve ever had. Michael Symon’s specialty is pork… well… it shows. The Venison was also incredible. It had layers and layers of flavors and textures thanks to the amazing combination of chestnut, parsnip, squash and cipollini onions. The Beef Hanger Steak was a huge hit, too. It was tender and juicy, while the pickles cut through the richness of the meat and the chiles gave it a kick of spice. Let’s not forget about the Lola fries, which accompanied the hanger steak – again, crispy and fabulous, and another layer of flavor and texture. We couldn’t end our dinner without dessert. We just couldn’t. So, we had two desserts: Pumpkin Pie and Apple & Fennel. They were so delicious and so different, at the same time. 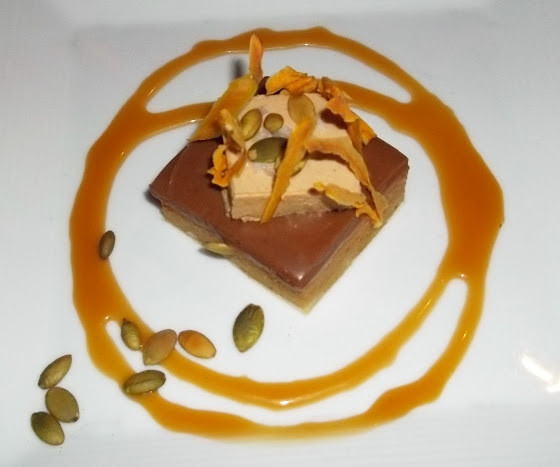 The Pumpkin Pie was a spin on the traditional pumpkin pie, but richer and creamier, and better. 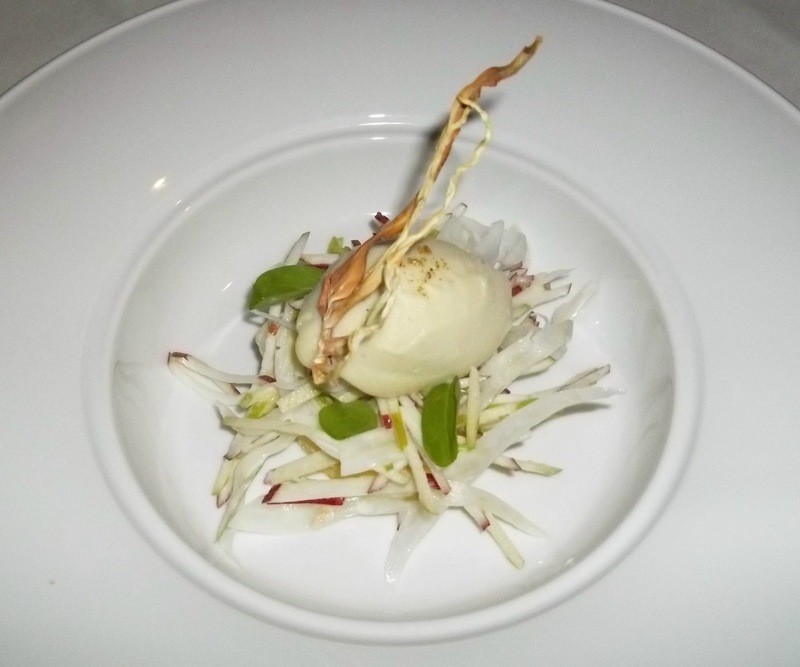 The Apple & Fennel, on the other hand, was light and fresh, and a refreshing ending to a great meal. In the end, it was the perfect getaway. We couldn’t have asked for more. We had great food, great wine, great atmosphere and, most importantly, great company. You can’t beat that! Great jobs! You are definitely a charming young lady loving beautiful life. Creating/cooking nice food is like an art. The busy modern life makes majority of people with less time to enjoy those little relaxing and recharging breaks. I got inspired by your recipes and blogs. Life should be simple and full of romances!